How serendipitous, Jilly. Today is our Remembrance Day down under - ANZAC Day. what a jubilant image, particularly when we consider the symbolism of poppies. The colors and composition are terrific! I'm also a fan of John Berger so it was fun seeing and reading this post today!! Poppies are the California state flower. And there are similarities between the coast of Southern California and the Riviera. That my dear, took my breath when it loaded and bravo for g etting down there to get it! 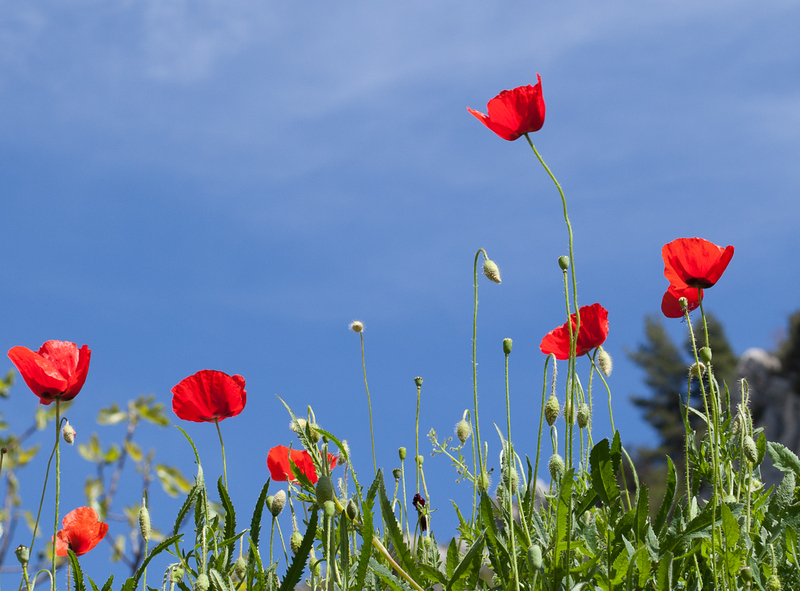 Les coquelicots... Very nice, full of memories of my youth. I like the red + blue + green! Perfect...I love poppies and the contrast of the red against that blue sky is stunning. A perfect shot.